The cross101 20 lb. 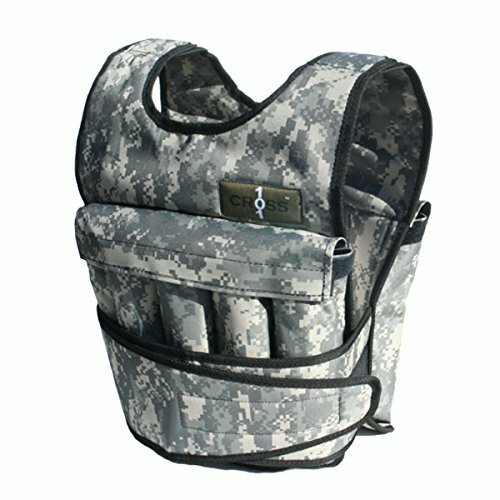 adjustable camouflage weighted vest is a great way to add resistance to your workout. This is a great vest to start your cross training, strength training and anything else you will need a weight vest for. The vest is 14" in length from your collarbone down and 12" in width. Weights are adjustable in 2.5 lb. increments, max weight is 20 lb. If you have any questions about this product by CROSS101, contact us by completing and submitting the form below. If you are looking for a specif part number, please include it with your message.